Packages that arrive to a nuclear medicine department may be labeled with special radioactive labels that have specific allowable limits of radiation depending on the label. 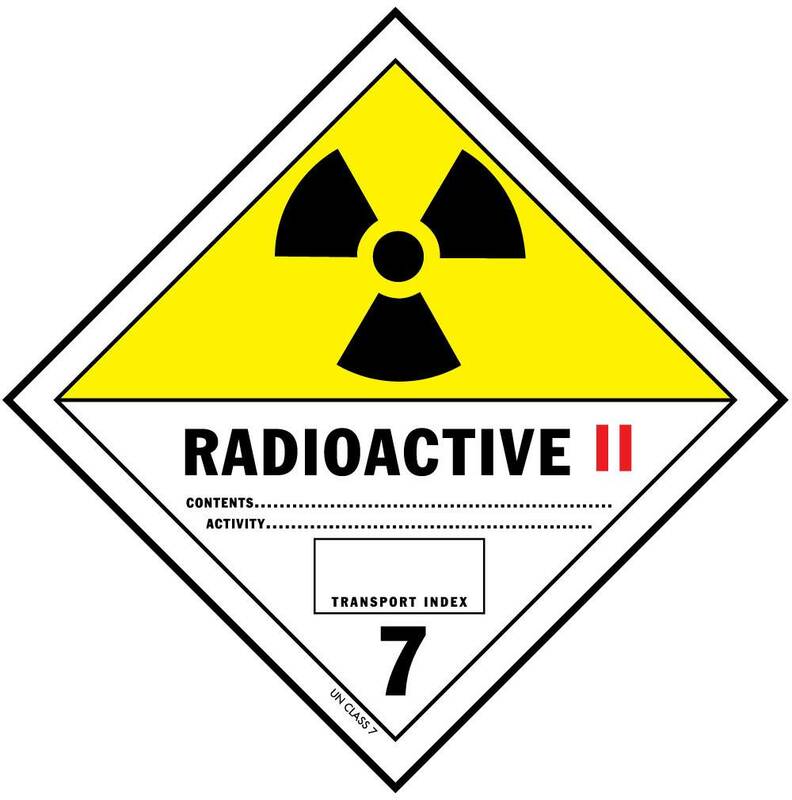 As part of the radioisotope safety examination, candidates should be aware of what these labels mean. 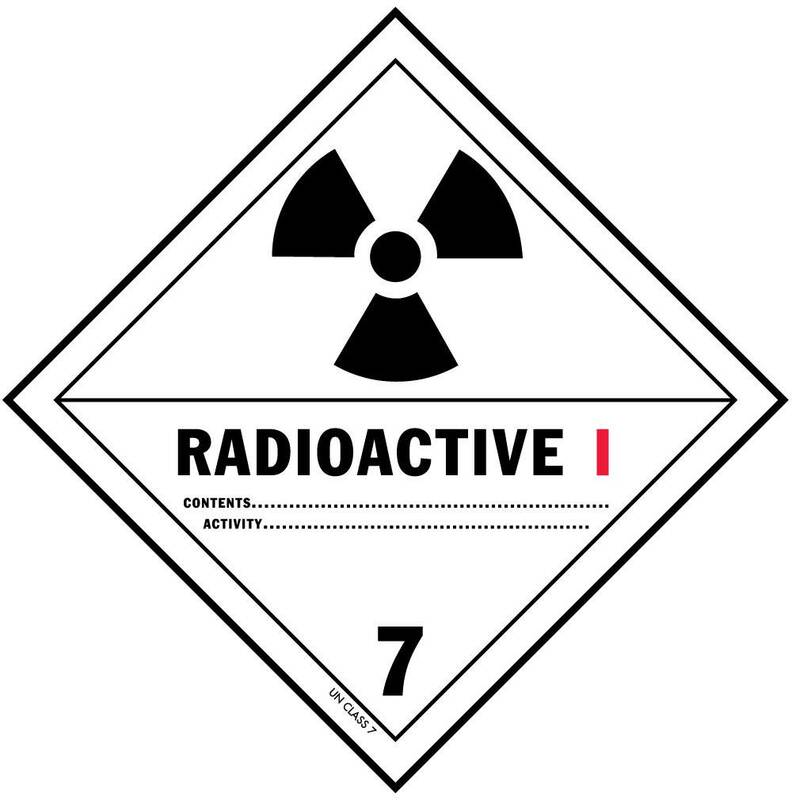 The captions of each label below have the specific amounts of radiation that each label indicates. Another important set of numbers to remember, which are included on all yellow labels, is the transport index, which is the actual dose rate measured at 1 meter at the time of shipping. For “yellow 2” labels, it must be < 1.0 mR per hour, and for “yellow 3” labels, it can be > 1.0 mR per hour. These numbers and details can be found at the Nuclear Regulatory Commission.